At least I can guarantee that the November Picks won't rot your teeth... but the first one might make you want to boogie, man! No huge locos and mighty diesels today. 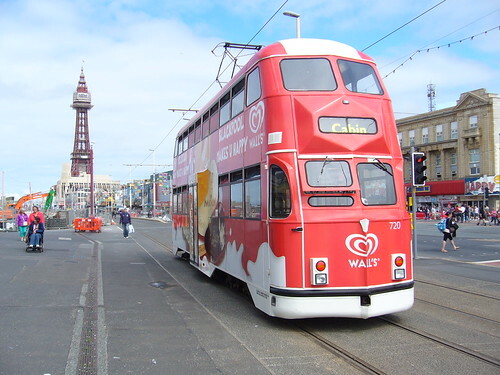 Just some trams from Blackpool, Lancashire, UK. Cap'n's Cabaret #10: Wild, Wonderful Weimar! Wilkommen, Bienvenue, and Welcome, im Cabaret, au Cabaret, to Cabaret, mein freunds! On Saturday Matinee, we showcase full-length films from or about the diesel era. We end our horrifying walk through the Halloween movie crypt with 1935's big budget monster classic, The Bride of Frankenstein. A rather unorthodox Swedish aircraft started its life as a piston-engine fighter to become a jet-propelled attacker. 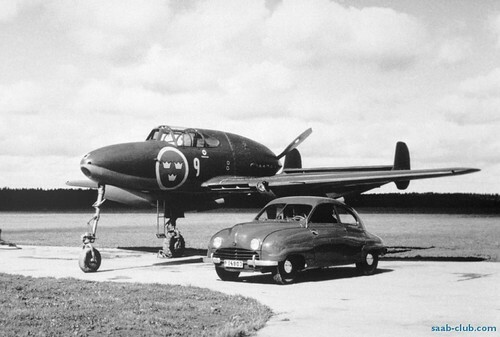 Here it is, the SAAB J21, together with the Model 92 compact car, another SAAB product. The picture was taken in 1948, when the jet version was already airborne. Happy Halloween, Boo, Etc., Etc. Rolling sculpture. Art Deco on wheels. Pure decodence. Meet 1936 Delahaye 135 Competition Court Figoni et Falaschi Coupe. Volumes are written on the Lafayette Escadrille, a French fighter unit composed largely of American volunteers. Welcome to Two Fisted Tuesdays, Dieselpunks' weekly beat on the mean streets. On Miskatonic Mondays, we celebrate the "weird" fiction of HP Lovecraft and the genre of otherworldly horror that it spawned. This will be a short one - more a query than an entry. Boas-vindas, and All Aboard for a first class luxury flight to that grandest and most glamourous tropical hot spots, Rio de Janeiro! And the Cap'n has definitely outdone himself today, because he loves you. Now you see him, now you don't. 1933's The Invisible Man is our next entry in our gallery of Halloween rogues. The plot is simple; a scientist finds a way of becoming invisible, but in doing so, he becomes murderously insane. 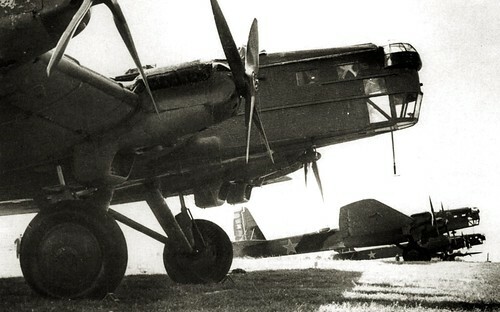 Meet the world's first cantilever wing four-engine heavy bomber - the Tupolev ANT-6 aka TB-3. The Tube that went Spro-ing!